Hey everybody! Getting tired of waiting for hours for rendering? Want to take control of the output and every detail in the rendering? Don’t want to spend hours hand drawing? SketchUp Artists is here to rescue you. 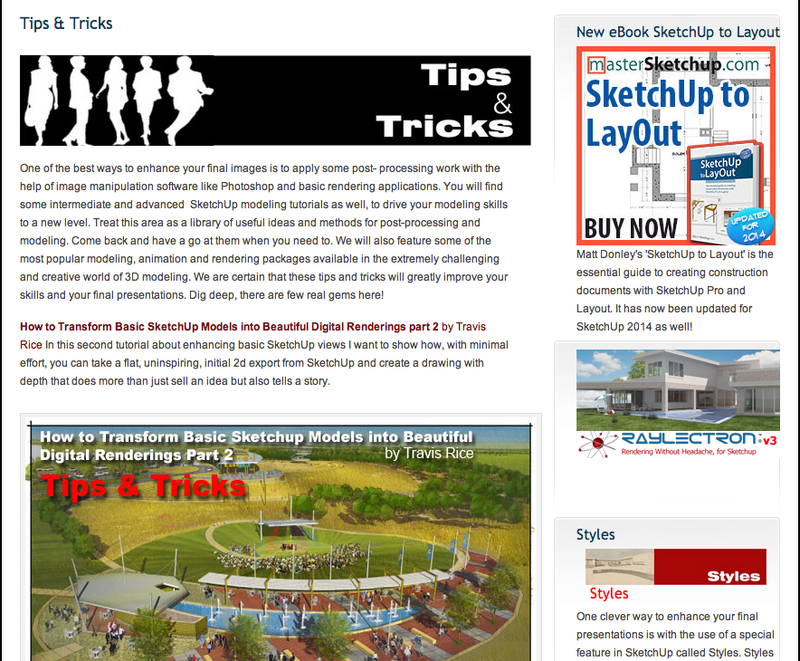 SketchUp Artists is a resource dedicated to showcasing useful tutorials and beautiful techniques for rendering. 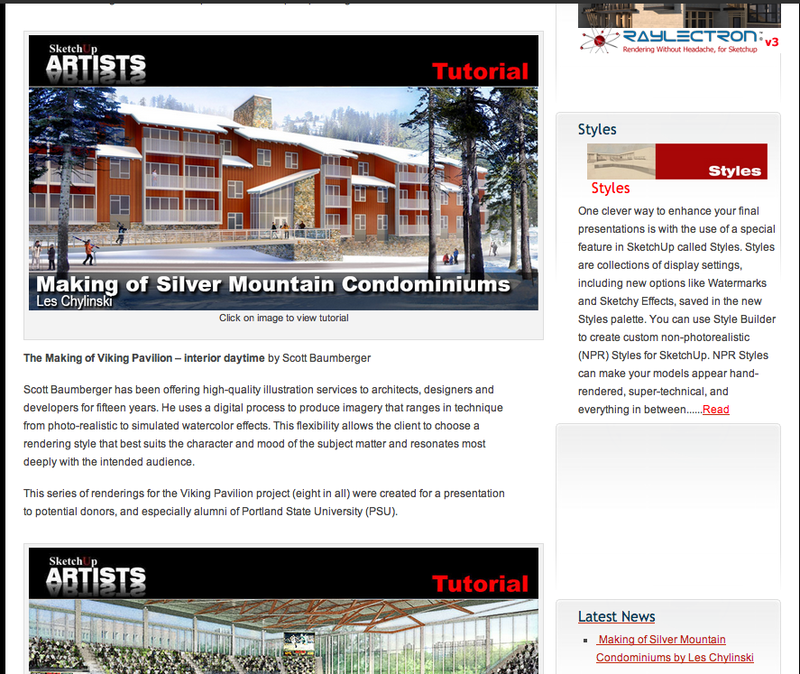 The site is not only made up of tutorials, it has a wide range of free plugins and tips on modeling and presentations. 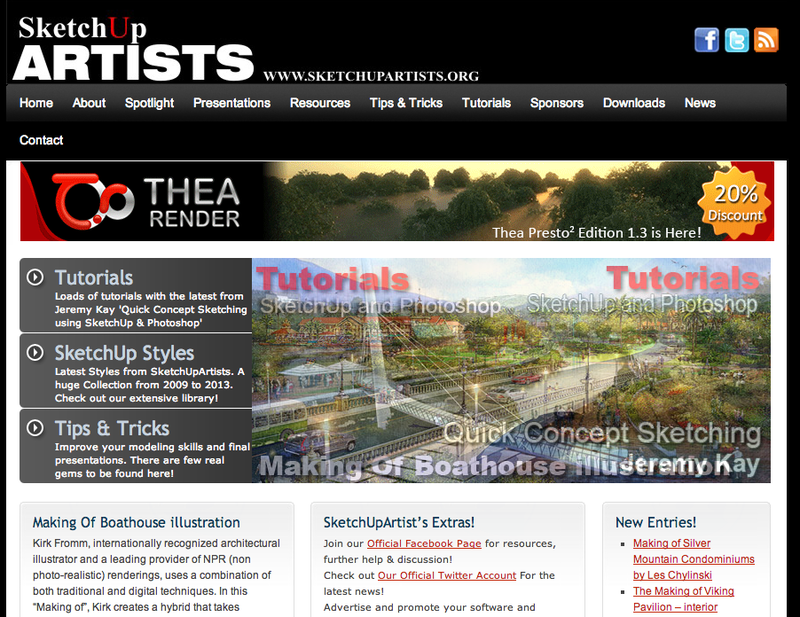 On side note, one of our former instructors at the BAC is registered on there as a sketchup artist. SketchUp Artists is great because it makes use of a popular modeling tool that we know very well at the BAC. This site opens a wide range of possibilities with SktechUp and makes it easier on design students because time seems to always escape us. I could personally testify that if a person follows the tips and tutorial on this site, they will fall in love with sketchup and see improvements in the their graphics. Another reason that makes SketchUp Artists great is the encouragement of software marriages. What I mean by that is not only will you be learning parts of SketchUp, but other programs as well such as Blender and many more. As designers the more we know the better and the more impressive we become. If you have some time to kill over the summer I suggest checking out this site. 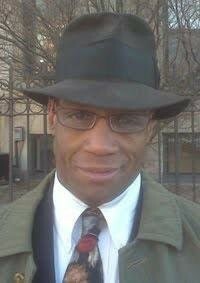 I guaranteed that it is going to improve your graphics drastically and the way you look at SketchUp. 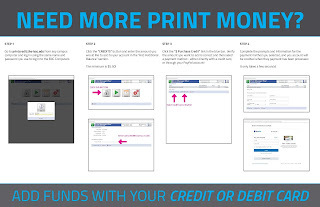 I strongly suggest taking advantage of the free resource and softwares.